Let Restoration Colorado Roofing perform a free 25 point roof inspection of your roof once a year. It is best to allow us to come out in the spring to assess your roof, looking for any damage, weak points or other issues which need to be addressed. Let Restoration Colorado Roofing inspect your roof after any bad weather such as heavy winds, heavy snowfall, hailstorms, tornados or any other acts of nature. Make sure that any trees near your home or business are trimmed back properly. Trees that hang over your roof can cause damage to your shingles or could fall, causing significant damage requiring immediate attention. Make sure that your roof is clean and free of debris, dead leaves and snow, which can decay your roof. THE ENTIRE ABOVE ITEMS ARE COMPLETELY FREE. THAT MEANS $0.00 FOR OUR 25 POINT ROOF INSPECTION!  Annual Inspections No matter what, your home or business will always need to be checked on a regular basis. The best way to avoid an emergency is to be cautious … in this case, having an inspection performed yearly. We cannot stress how important it is to have a qualified roofing company inspect your roof, especially one that is local and fully licensed and insured. At Restoration Colorado Roofing, not only are we fully licensed and insured, we are local. We have a reputation to keep. We want you to love us, and tell everyone you know about us … in a good way. That’s why we do everything we can to provide the best 24 Hour Emergency Roof Repair service in Colorado Springs and the surrounding Counties. Honestly, we would prefer to never have to come out to your home at midnight, but if that is what needs to happen, we will be there. We are known as the all-night roofer! 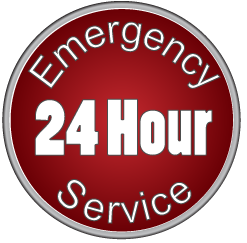 If you have an emergency that cannot wait, then call us right now! Don’t let a small problem turn into thousands of dollars in repairs. Call our emergency hotline at 719-204-5363. Working with this company is a true pleasure. The owners are very involved in the company and take the work they do personally. They responded quickly, listened to our concerns and effectively and competently completed the job -They treated my home as if it were their own. The team they have assembled is reliable and trustworthy and one I feel comfortable allowing to work in and around my home and family. Finally we were charged an extremely reasonable rate for the work completed which was far below the rates quoted by other competing services. If you find yourself in need of roofing services, we absolutely recommend Restoration Colorado Roofing! Shingles will lose their granules in a variety of ways such as normal wear and tear, severe hail damage or a defective product that was used on your roof during a previous inspection. Of course, when your roof shingles begin showing signs of losing their important granules they are at the point where you will need to replace them immediately or risk leaking to occur in your home. The granules of shingles are responsible for a variety of features such as protecting the shingles from harmful UV light directed by the sun and to protect your home from whatever mother nature throws at it. There are different types of granule losses that include shingle blistering, mechanical damage, old shingles, normal aging and from being walked on too much. At Restoration Colorado we understand how important these granules are to both your home and to your shingles and we ensure to check every shingle thoroughly during our 25-point inspection to help give you a better idea whether you need to have the shingles replaced or if your roof can survive a little longer with the shingles currently on it. Whenever you have a new roof installed, what tends to happen is that to compensate for the lack of either a drip edge or flashing contractors will install shingles too far forward which covers the opening of your gutter. It is even common for many roofing contractors to place roof shingles into the gutter itself, which can cause wicking if the shingle is exposed to the water within your gutter. There are certain measurements for which your shingles should be placed over your eave such as ¼ to 3/8 inch and many contractors recommend extending the shingles very slightly in the case that the eave is slightly wavy. While many contractors ignore the recommendations that manufacturer’s make for the proper placement of your shingles over your home’s gutters and eaves, at Restoration Colorado we strive to ensure these proper measurements so that your shingles can last you for many years to come. When you can see that your shingles are beginning to wear down this is a clear indication that you will need to replace your roof quickly. Your shingles are responsible for protecting your home from the worst mother nature can throw at it and help to protect your home from being penetrated with water. We can help you prevent a potential leak in your roof from occurring by inspecting your shingles closely and we can help you to avoid having to make costly repairs to the inside of your home in the future. Remember, your roof is the first line of defense that you must protect yourself from the elements such as the sun, wind, snow, rain, hail, etc. These different elements have the potential to ruin your shingles and wear them down faster than many homeowners realize and that is why having them inspected often is crucial to the safety of your own home. Rain and snow are your roof’s worst enemy and not only can these two weather conditions damage the overall structure of your shingles and rot decking which can lead to faster deterioration of your shingles. The sun can have a damaging effect on your shingles and results in a complete breakdown of them over time. The fact of the matter is mother nature will begin to make your shingles brittle, can curl them or deteriorate them after some time. Having your shingles inspected by Restoration Colorado will help to ensure that your roof is up to the task of protecting your home the way it should for many years to come. Here in Colorado, there will be some days where we may experience high winds from time to time and those strong winds can have a damaging effect on our roofs. When you schedule a free 25-point inspection with Restoration Colorado we will effectively look at your roof shingles and make sure none of them are peeling away from the foundation of your roof. 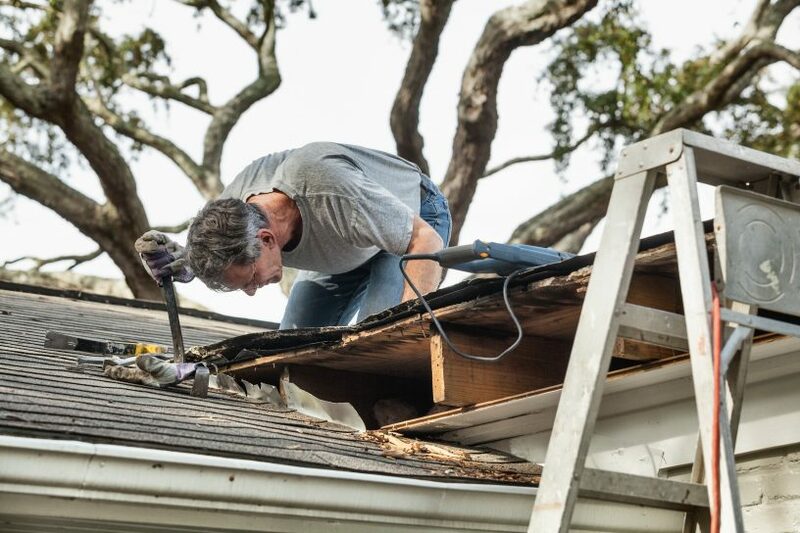 There are a variety of things that we look for when looking for wind damage such as whether the bonding process that was used in the primary installation is still intact and we also look for curled and brittle shingles. There are different kinds of fastening methods that are used to install a roof onto a house such as hand nailing the shingles down or using an automatic nail gun to attach the shingles to the roof. Both of these fastening methods have their own set of advantages and disadvantages and both methods will be used depending on what kind of shingles are being installed. When we inspect which fastening method was used in the primary installation of your roof we determine whether the method damaged your shingles in any way and if, so we would recommend fastening down your shingles using a different method to ensure the durability and life of your shingles. We have many years of experience with installing and repairing roofs and our experience will come with the added benefit of knowing exactly how your shingles should be fastened to the framework of your home and we use our experience to make sure that you are happy with the work we do and can rest assured that any work we do will come with a positive outcome. There is various type of flashings at your walls that we inspect during our 25-point inspection process. Headwall Flashing – this is the place where your roof meets a wall and it should extend behind the exterior wall covering of your home and down over the material that is covering your roof. Flashing should continue to overlap over the material covering your roof. The important thing to note here is that there are no dimensions that are provided and that are applicable to every manufacturer, so every contractor will install it differently. The main goal is to make sure that water will be kept out of the headwall flashing. We will inspect the flashing and ensure that no water will be able to seep into it. Sidewall Flashing – this is the flashing that lies between a wall and a sloped portion of your roof if there is any. The only exception is if your walls are made of brick. The same function applies to this flashing, which is to keep water out. Step Flashing – this flashing primarily consists of installing small pieces of the flashing overlap every piece of shingle your roof contains and this is the kind of flashing that tends to be installed defectively. Regardless of the type of flashing that was used in the installation of your home, we at Restoration Colorado will inspect each kind thoroughly and make sure that it keeps water from leaking into your home. A pipe flashing is a material that is commonly used around the various pipes and vents that come through your roof and they are primarily used to prevent water from leaking through them and into your home. Often many contractors tend to install these incorrectly which will result in water leaking in through your roof and into your home, which can leave you with a costly repair bill. At Restoration Colorado, we inspect each of these flashings thoroughly and look for signs of wear and tear and defective installation and we will give you our honest opinion on whether you need to replace them before any long-lasting damage can be done to your home. An Ice and Water Shield Is Missing from The Roof Valley-if your roof valley has been properly installed it should include an ice and water shield that was installed. If not, it is prone to many leaks in this area. Roofing Nails Used Improperly-if nails were used improperly during the installation process this can accelerate the rate at which your shingles age and can also draw moisture through the aging shingle. Collection of Dirt and Debris-naturally your roof valley will collect an endless amount of dirt, leaves and other debris, which can disturb the natural downward flow of water into the gutter when these objects are blocking it. There are a variety of reasons why your roof can fail within the valley flashing and can cause a leak such as improper roofing installation, structural issues and deterioration of the materials that were used. At Restoration Colorado, we will look at this area carefully and make sure that there are no leaks or the potential for leaks to occur during our routine 25-point inspection process. In the roofing industry, there are certain statistics that have shown that a build-up of moisture can cause even more damage to a roof of a residential or commercial roof than that alone of termites, storms or even fires combined. Storm collars are used to ensure proper ventilation of gas and they are used to make sure no water can leak into the inside of your home or commercial building. Think of your storm collar as an umbrella as it keeps the water out of the joint where it meets the pipe of the vent. We will determine if the seal as worn down or has been improperly installed and if so we will recommend removing the old sealant that was used and replacing it with new sealant to ensure there is no chance of water leaking into your home. When you perform a routine 25-point inspection by Restoration Colorado on a periodic basis we can check all your storm collar pipes to ensure that no moisture can seep through them and destroy the interior and exterior of your structure. We can detect any problems that may arise because of these pipes having the wrong sealing method used, and we can help maintain the life of your roof for many years to come. Naturally, these three things will cause the rubber boots on your pipes to wear down and there will need to be inspected to ensure whether the need to be replaced. As you know your gutters play a key role in the overall maintenance of both your home and your roof and help to ensure that no water can build up on either and cause long-lasting damage in its wake. When you have a loose gutter in place or a gutter that has fallen away from the building itself, this is allowing water runoff to miss the gutter completely and to run down the sides of the building and to pile up near the foundation of the building itself. Having water run off the building in this manner can result in several consequences such as harmful dry rot, harmful erosion of the building and foundation, damage to your surrounding landscape, damage done to the siding of the building, possible window and door damage, buildup of hazardous mold and even damage to the structure of the building. At Restoration Colorado, we can look for possible loose gutters and let you know of the dangers these can pose so that we can get them fixed for your right away. There are many reasons as to why you want to ensure there is proper ventilation within your attic with the primary reason being that this will allow for air to circulate naturally through a method known as convection, which simply means that the air is drawn from the outside from the lower levels of the attic and is then released through higher areas in what is known as a draft. This is very similar to how a chimney works and is the way the air should be circulated through your attic. Believe it or not, having a well-ventilated attic is a crucial part of the entire roofing system of your home. When your attic is properly ventilated it can push hot air and moisture from your entire home and will help to reduce the overall temperature of your home as well. If your attic is properly ventilated, you can help reduce most of the potential health risks that can occur and can even extend the life of your roof in the process. When your attic has a poor ventilation system it can cause most of the problems for you in the long run such as mildew build-up, rust, deterioration to your entire roofing system, and having to spend a lot of money on air conditioning systems for your home. If you find that no matter what you do in your attic, but it is always blistering hot in the summer and bitter cold in the winter, it may be a clear indication that the area has a poor ventilation system. There are certain types of insulation levels that are specified by an R-Value System. This system helps to measure how resistant the insulation is against heat that travels through it. The important thing to know here is that the higher the R-Value you have, the better the insulation will work in resisting heat. In your home, the one room that tends to have the most amount of energy lost through it is your attic. That is why it is key to have adequate insulation in place to prevent the loss of this energy and to create an effective barrier against the unwanted heat exchange which causes you to lose this energy. 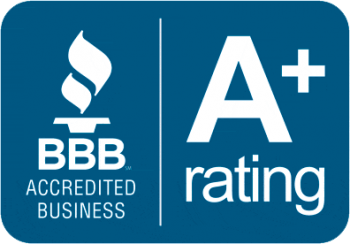 At Restoration Colorado, we can measure how effective the insulation in your attic is working based upon it’s R-Value and we can give you our professional and honest opinion on whether what you have in place is effective enough to stop this unwanted exchange of energy. Dry Rot-while it has been known to primarily target wood, this wood-eating fungus has proven to be an enemy of rubber as well. It tends to target areas of a home that are not well insulated, thick with moisture in the air, a room with no light and in places that reach temperatures above 50 degrees Fahrenheit. The perfect place for this fungus to thrive is in the attic of any home if it is not well ventilated or well insulated. Mold-mold itself can cause a variety of health problems for humans who live in homes where it thrives. One of the illnesses humans can suffer from is known as Sick-Home Syndrome and people who suffer from it usually exhibit symptoms such as respiratory issues and unable to fully recover from something as simple as the common cold. At Restoration Colorado, we understand how harmful both dry rot and mold can be for your home and your family and during our 22-point inspection process we always keep an eye out for these harmful substances and alert you immediately if we find any trace of them. The intake vents in your attic are primarily responsible for giving your attic adequate ventilation and if it is blocked in any way this can prevent warm air from flowing out of your home and to the outside, ineffectively control the temperature of your home. Blocked intake vents will even have the potential of bringing cool and wanted air out of the occupied space, which will lead to an increase in heat loss or cold loss from your building. At Restoration Colorado, we look for these blockages in the intake vents as part of our 25-point inspection and ensure to unblock them to restore adequate air flow throughout your home and your attic. When you think of your home try to imagine it as a giant chimney. Any warm air that resides in your home will rise to the top of the building (the attic) where it will increase the air pressure once it reaches the ceiling. Between the air pressure in your home and the air pressure which is lower on the outside of your home will drive any warm air that resides in the home to go through any hole or crack it can find. The same can be said for the lower part of your home and the high pressure within your home can push cool air out of your home and into the outside or into the foundation through any hole or gap it can find. This is known as the stack effect and the important thing to remember here is that the larger the space you have between the inside and outside of your home, the greater the air pressure will be in your home and thus the stronger the pull of air will be. At Restoration Colorado, we will look out for any hole, crack or shrinkage that could indicate you are losing too much air and that your home is not being properly ventilated so that you can save money on your energy bills in the long run. We will also check for proper vent installation and that all vents are vented to the outside of the attic. them. When you have cracks in the mortar of your chimney there are 3 serious health risks that can occur due to this such as Carbon Monoxide Poisoning, which can be fatal, Chimney Fires and Deterioration to your chimney as a whole. At Restoration Colorado, we can alert you to any cracking in the mortar of your chimney, so you can have it repaired before your encounter any of these problems for yourself and must pay more in the long run due to costly repairs. Caulk is one of those substances that is essential to use in any kind of home repair or home building project and it is the key tool used to prevent any air or water from seeping into your home. As the season changes here in Colorado (which tends to be every 5 minutes), cracks and gaps can begin to appear in the caulking used around your chimney and its vents which can allow unwanted air to come into an air-conditioned space and that can allow moisture to leak in through these areas. This unwanted air and moisture can cause a number of problems for you such as mold appearing, having unwanted drafts and having heat loss during the bitter cold winter months. At Restoration Colorado, we keep an eye out for any caulk that we see that contains gaps, holes or that is missing altogether and we alert you to this issue immediately. Hail does not just damage roofs. Hail also damages the other parts of the exterior of the home. Restoration Colorado will inspect all sides of your home’s siding or stucco. Along with the home’s exterior surface, we will inspect the windows and window screens for damage. If your roof got hit you can bet, you deck most likely has some hail damages. We don’t only do roof repairs or replacement, we can perform all exterior or interior repairs. During any time of the year, little critters such as rodents like squirrels and mice and birds will try to make your home their own home. Unfortunately, as small as these creatures are they tend to make long-lasting damages to your home they are unaware of. These creatures can clog up your chimney, eat away at the wood in your attic, chew through wires, or make annoying and unwanted noise in your home. As a bonus Restoration, Colorado will thoroughly inspect both your chimney and attic where these creatures tend to take over and search for any signs of nests that could indicate their presence. We will inspect your fence, sidewalks, deck, etc. We will let you know if you have any hail damage to any of these exterior areas. We will inspect the interior of your home to see if your home has any interior water damage due to a leaking roof or siding. Most of the time we can pinpoint moisture intrusion before it becomes a big problem.